1. A copy of The Life-Changing Magic of Tidying Up because the first step to a truly decluttered space is actually getting rid of stuff — and this will show you how. Get it from Amazon for $10.45, Barnes & Noble for $10.58, Indiebound, or find a copy at your local library. (If the whole system seems a little — or very — impractical to you, though, I also recommend Rachel Hoffman's Unf*ck Your Habitat, $15.29 on Amazon). 2. 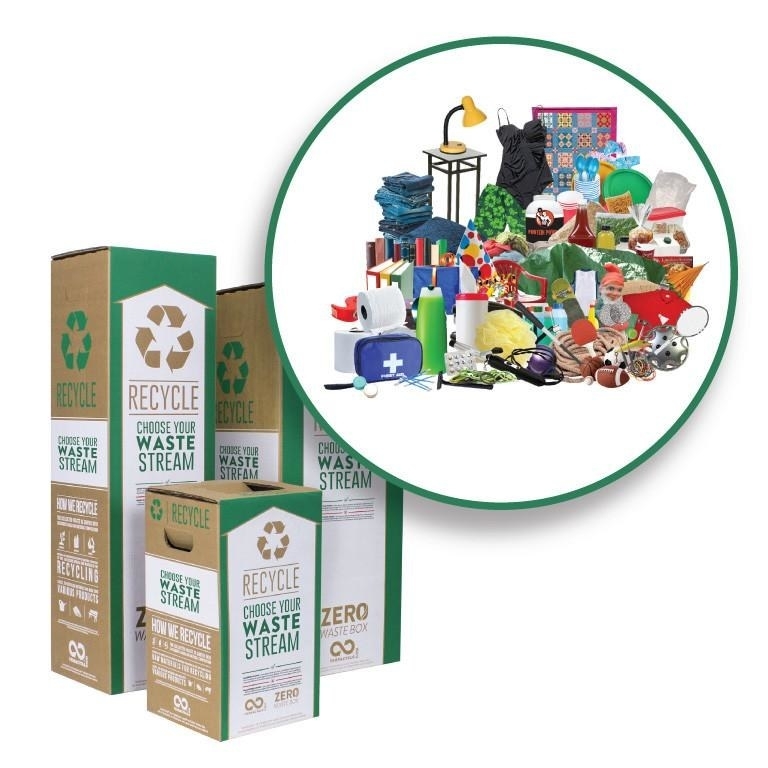 A Zero-Waste Box from Terracycle, where you (or you + your neighbors, or high school, or dorm) team up to buy a box that you then stuff with hard-to-recycle items, and mail back to Terracycle to be recycled. Yes, basically you're paying for your stuff to be recycled (the reason your curbside collection doesn't take all of the things = recyclers want to make money. If they can't make money on it, then you have to pay for it to happen). 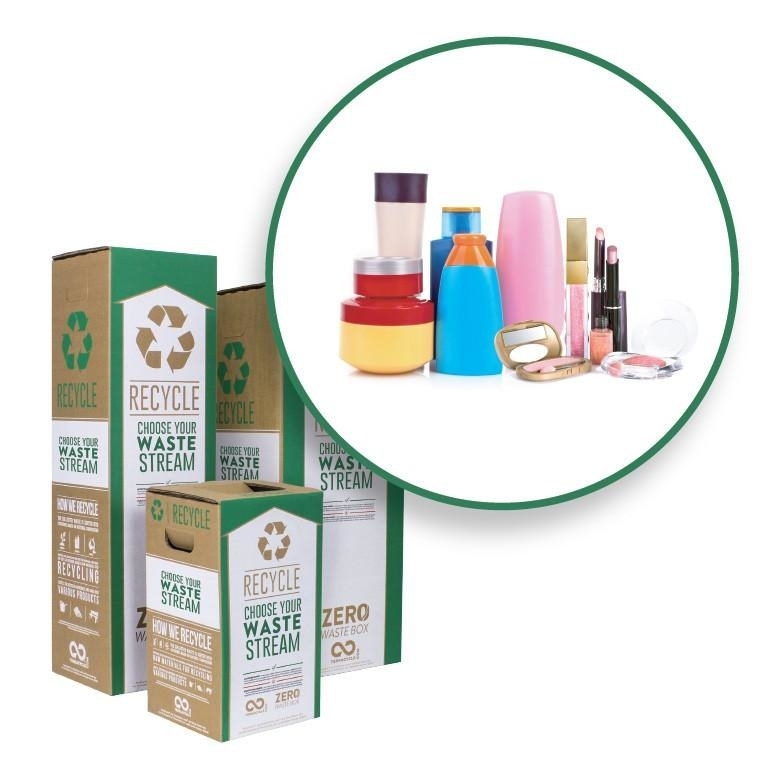 Read more on Terracycle, and order a small "everything" box (well, almost everything) for $184, or a beauty products and packaging pouch for $41. There are also tons of free recycling programs through Terracycle, where the companies pay for you to recycle the stuff you bought from them (that your municipal program won't accept). And these aren't only hippie/earthy brands! They include Colgate, eos, Febreeze, Flonase, Hasbro Toys, and many others. 3. 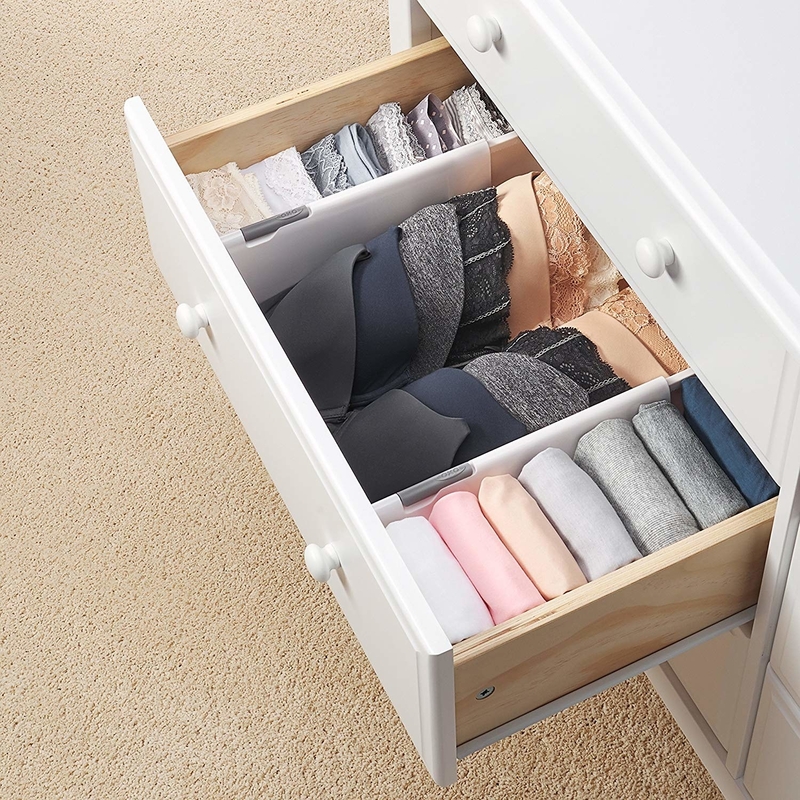 A set of dresser drawer dividers so you can keep all your clothes that spark joy folded in neat rows that easily adjust to the perfect widths. Get a set of two on Amazon for $19.99. 4. 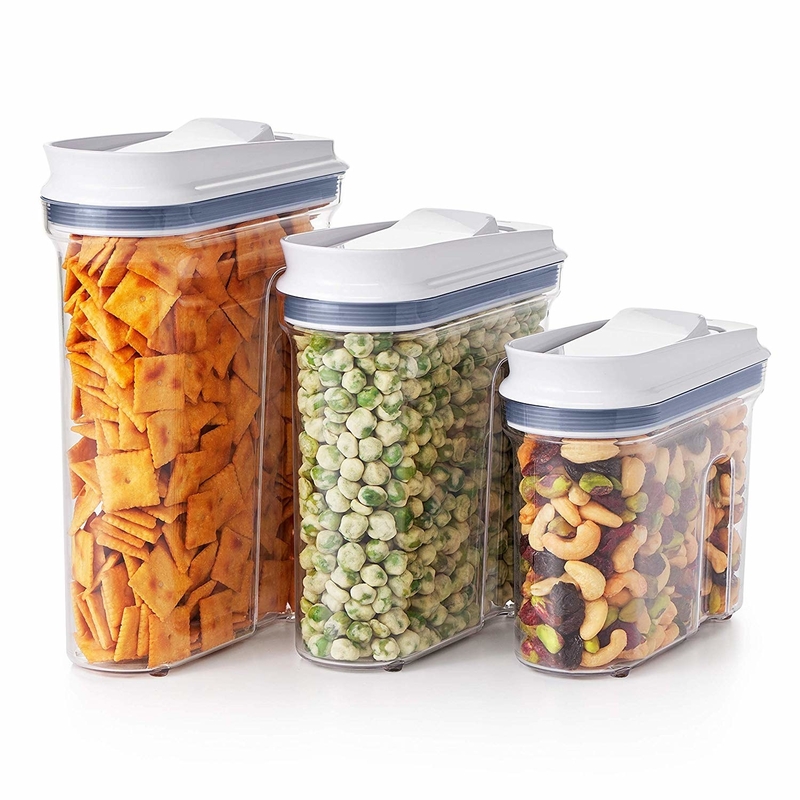 A set of three airtight mini snack containers — they'll 1) let you consolidate your open box and backup box into one spot *and* 2) keep all of those delicious snacks fresher for longer. They also work well for dried rice and beans in the pantry; you can easily measure out exactly how much you need for a recipe. 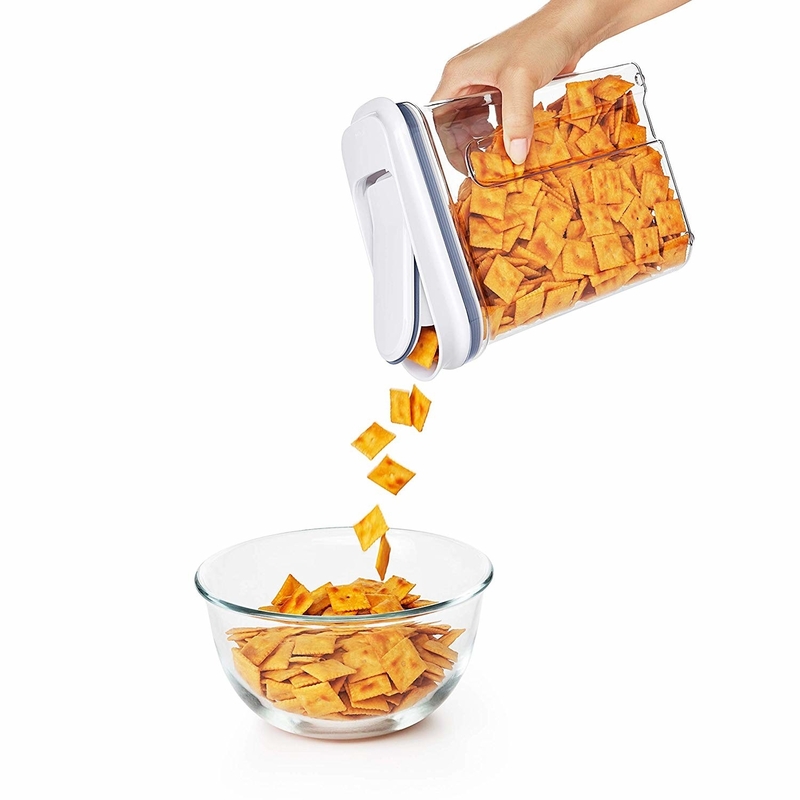 And you can use 'em one-handed: an easy press opens the pour spout, then you pour, and press again to close. Get the pack of three on Amazon for $39.99. 5. Or a set of airtight ~Pop Containers~ that are a little less convenient to quickly open and pour, but come in a variety of sizes and types to fit whatever your particular pantry needs. They're all sized and shaped to be as efficient with your shelf space as possible. Get a set of five for $47.97, a set of 10 for $95.99, the set of three pictured cereal containers for $49.85, and the pictured cookie jars for $19.99 each, all on Amazon. 6. 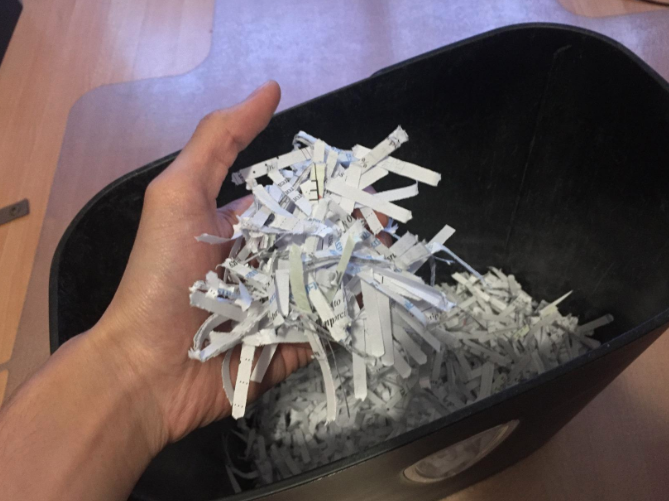 A paper shredder because you'll finally be able to destroy that stockpile of credit card offers, old tax returns, and other stuff you (reasonably) didn't want to just chuck in the recycling. 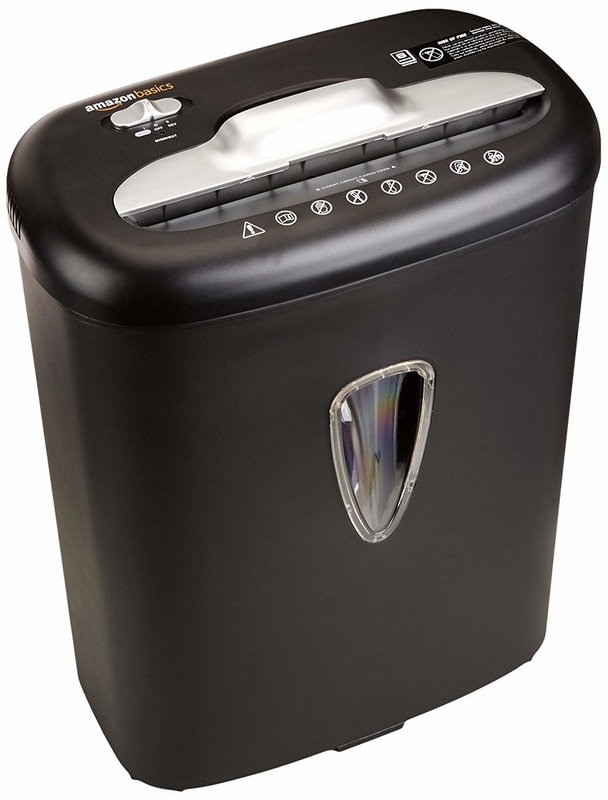 Promising review: "I purchased this shredder three months ago. Love it! - Not noisy and it doesn't take much room. 7. And a slim four-pocket expanding-file organizer perfect for holding onto the few papers that are actually important enough to keep around. Get them on Amazon for $7.99 each (8 colors). 8. Or if you need more than four pockets, a cascading file — it collapses for easy transport, then fans out to make each and every folder quick to access. Reviewers love it for their home office, small office, kitchen command centers, homeschooling, and more. Get it on Amazon for $11.26. 9. 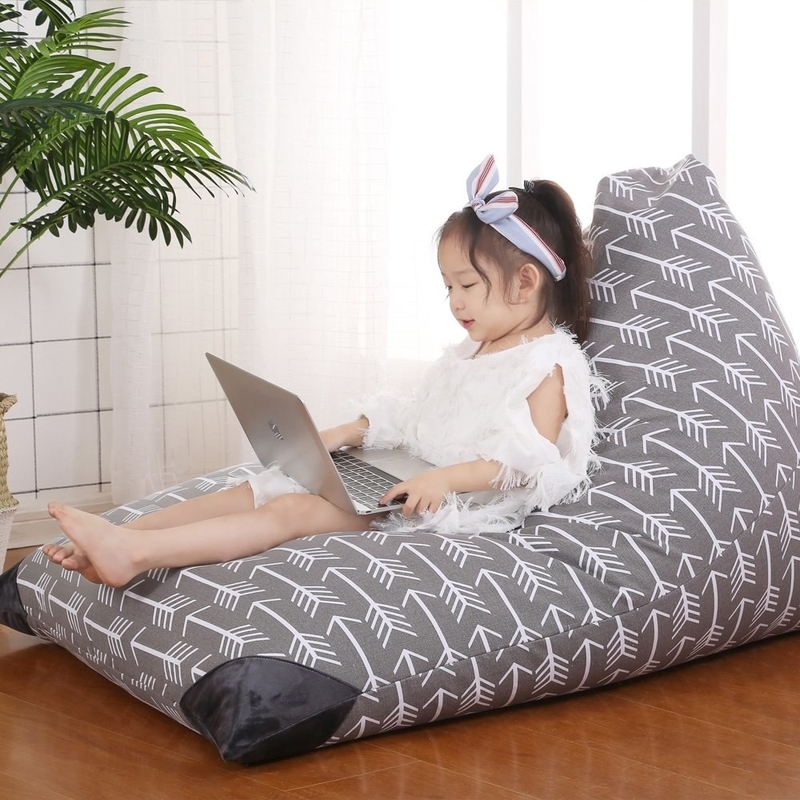 A beanbag cover designed so kiddos can stuff it with all of their less-loved plush toys, turning it into a comfy place to sit. It comes in two sizes, and the largest fits 110 stuffed animals! Don't worry: it's machine washable in case of any spills. You could also use it as a functional storage spot for those extra pillows and blankets you only pull out once or twice a year. Get one on Amazon for $28.99 (11 colors/patterns available). 10. A nail polish case that, after you sort through and toss any expired bottles or colors you don't want to keep, will file the ones you do actually love into an orderly menu. Promising review: "I bought this after trying a makeup style caboodle for polish and looking for many many more. This is better than advertised. ESSIE, OPI, POP-ARRAZI, SINFUL COLORS, SH INSTADRY, SH TRIPLE SHINE, SH XRREME WEAR, WET AND WILD, SH HARD AD NAILS and COVER GIRL all fit perfectly in the standard size boxes. My JULEP colors fit two in a compartment! 11. A bamboo monitor stand with two drawers perfect for storing all of the little desk supplies you need somewhere besides your desktop, but still within arm's reach. Ignoring the backward Apple logo (weird choice, Amazon seller): this may also help with your eyestrain and posture, by putting your at a more ergonomic height. Promising review: "WONDERFUL product. Perfect height for my needs, sturdy construction, and it looks amazing. The drawers are surprisingly deeper than I was expecting, going the full depth of the stand and have enough height for three Xbox One games to lie flat in them. The under-riser space is tall enough and wide enough to fit my keyboard and my Gunnar gaming glasses with a bit of room left over. The cut out for your cups in the near right of the top I found to be a little small, and unless I put very short teacups there, actually interferes with my view of my monitor. Fits my Google Mini perfectly, though! Keep in mind this is NOT a veneer, this is through and through bamboo, so it will be a little heftier. This works for me, but if you've got a desk with a weight limit, it's something to consider. There IS a little cutout for cables in the back of the stand, but I can't comment on how effective it is because of my personal set up. It looks big enough to safely pass at least three HDMI cables and a standard monitor power cable through, though. —Terry B. Get it on Amazon for $45.89. 12. 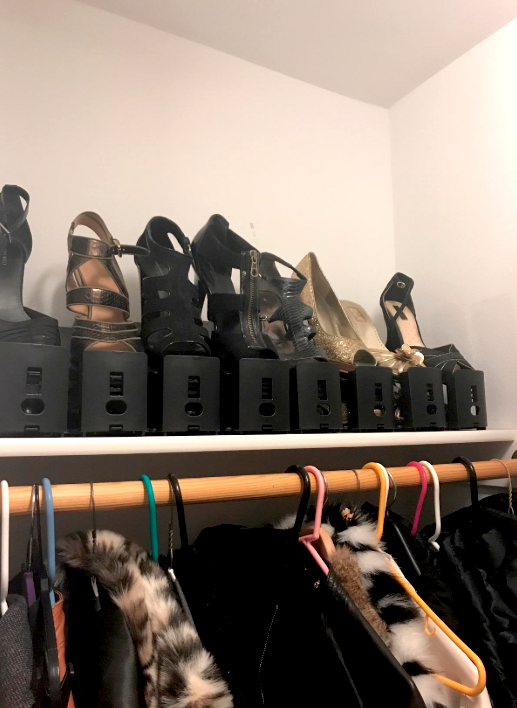 A pack of adjustable shoe doublers — the shoes you do decide to keep will take up half the space they would otherwise, freeing up extra shelf you can use for basically anything...including new shoes, of course. 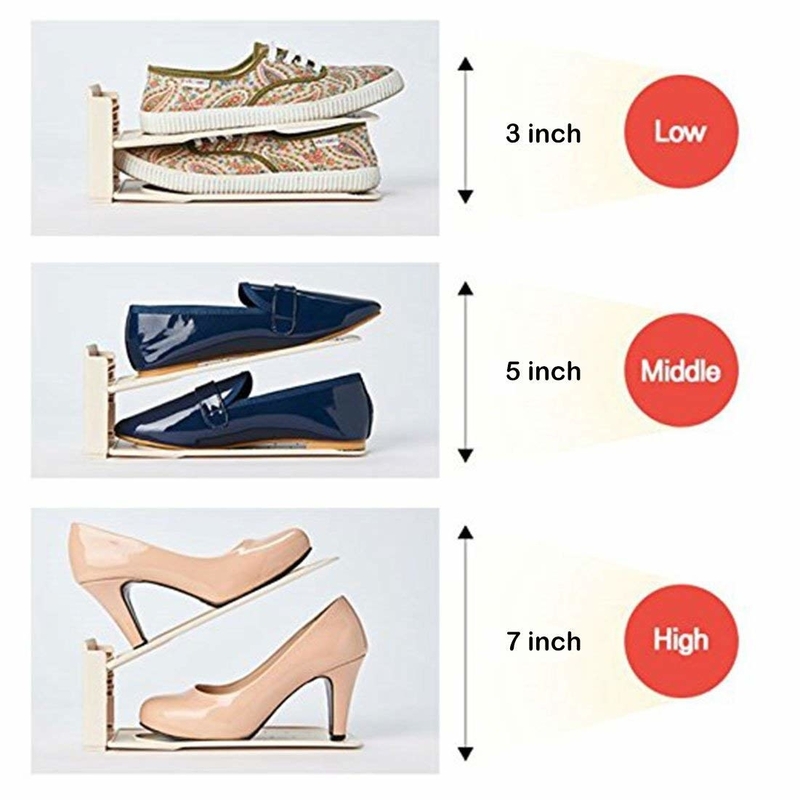 As the pic on the right shows, you can adjust these to work with multiple shoe types and heel heights (it also works for bigger sizes — the shoes on the left are women's size 12). Get a set of five on Amazon for $17.99. 13. 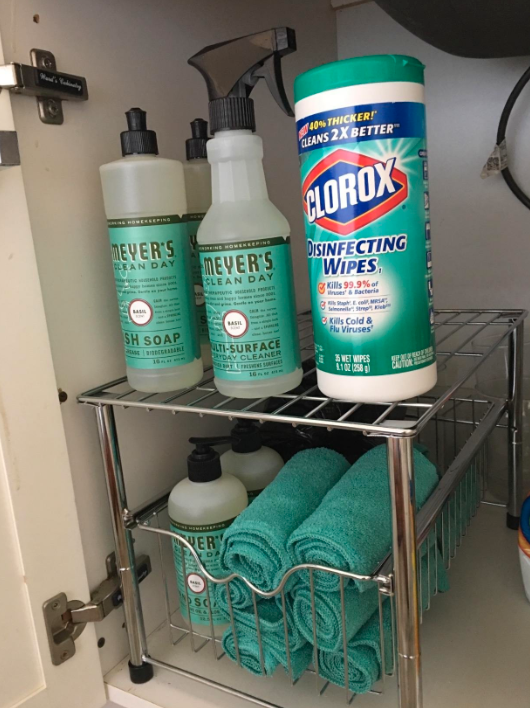 A set of baskets and clip-on labels to turn into a crap basket system: when you find something abandoned in a spot where it doesn't belong, drop it in that person's crap basket for them to put away later. This is great for kids who leave stuff all over the house, because if their basket's very full, they can just carry it to their rooms to put things away (then bring it back to the stairs). And you don't have to deal with their clutter! From Sew Many Ways. You could also set up a similar system using small basket drawers ($87.54 on Amazon), if you don't have stairs in your home. (Or use the basket system, just stack 'em elsewhere!) No kids but kind of clutter-y yourself? Try this system with a single basket, drop crap in as you find it, and dedicate 10 minutes every day to put stuff away. Get a set of two medium-sized baskets that could work for this for $21.99 and a pack of 16 clip-on chalkboard labels (for writing each person's name!) for $9.97, both on Amazon. 14. A coupon wallet so you can toss the pile of of ads slowly accumulating on one corner of your kitchen counter, and just file away the deals you need for when you need 'em. 15. A set of space bags to compress your out-of-season clothes, extra bedding, or any other bulky fabric things you use often enough to keep, but not so often you want 'em out all the time. Get a pack of six on Amazon for $14.53. 16. 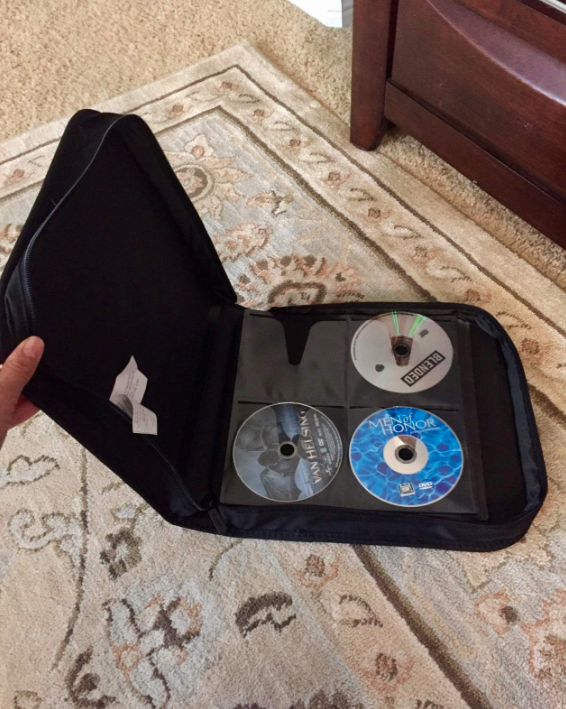 A disc keeper so you can reduce the shelf space all those plastic DVD cases take up to just 2.8 inches, while still keeping all your favorite movies protected (and in alphabetical order, if you so choose). Get the 128-capacity binder for $13.99, or a bigger 400-capacity binder for $24.99, both on Amazon. 17. A cutlery tray that holds an entire set of forks, spoons, knives, and salad forks in half the space of a traditional organizer. 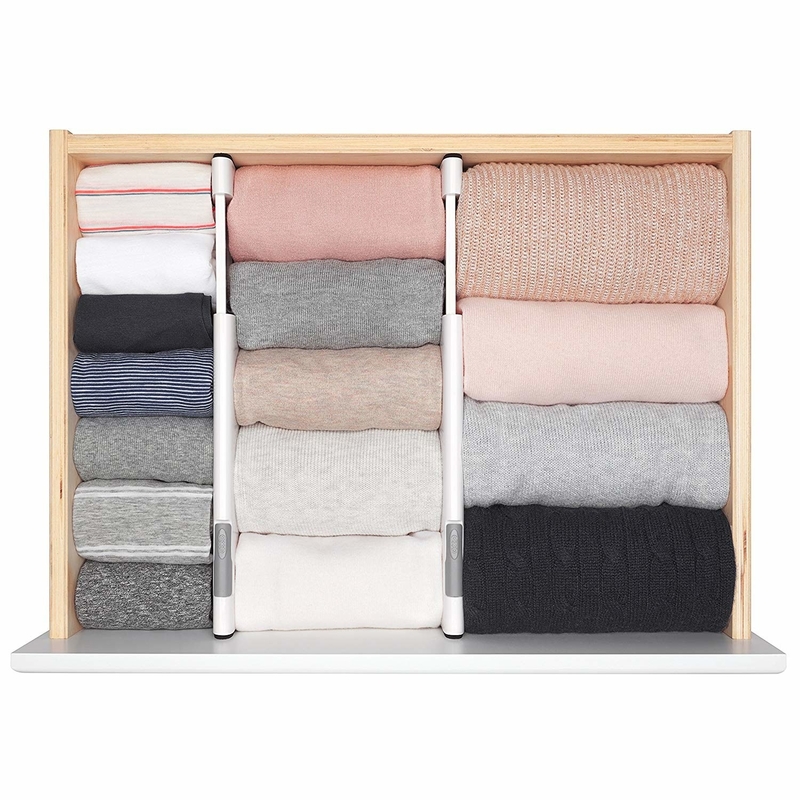 Well, not exactly half the space; it basically uses more of the vertical inches in your drawer, vs spreading out over the left and right. 18. 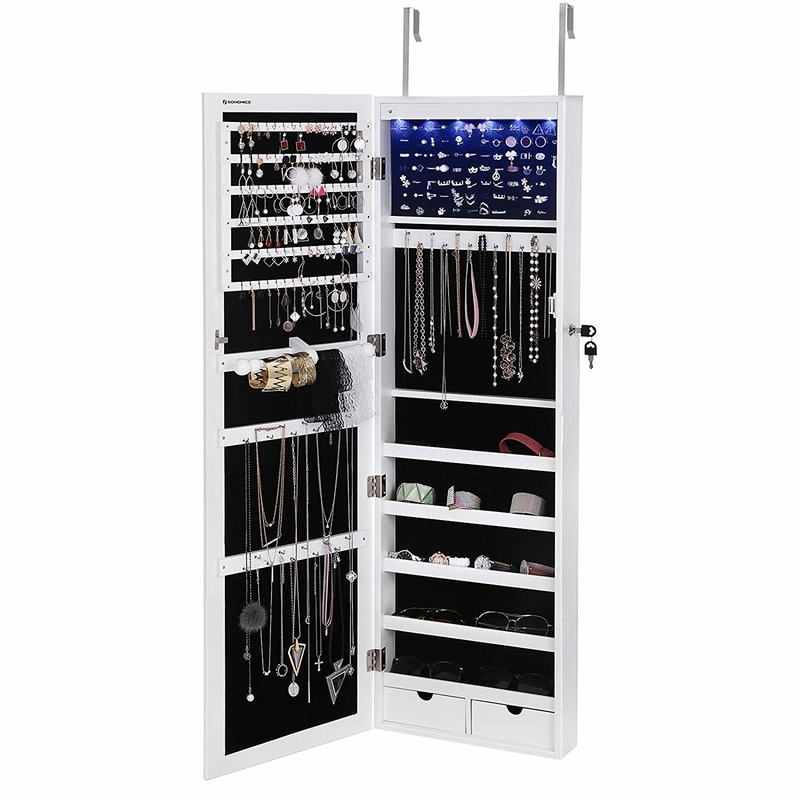 A jewelry armoire disguised as a full-length mirror so your collection stays organized and easy to access but completely out of sight. 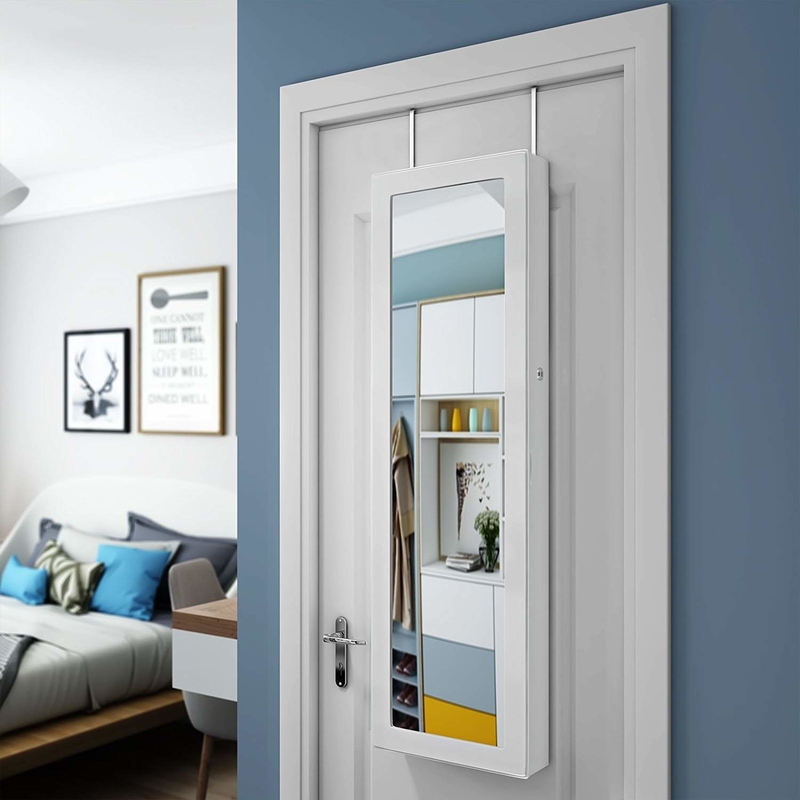 You can either mount it to the wall or hang it over the door, and it comes with a lock, if you want to keep kids out of it! Get it on Amazon for $129.99. 19. 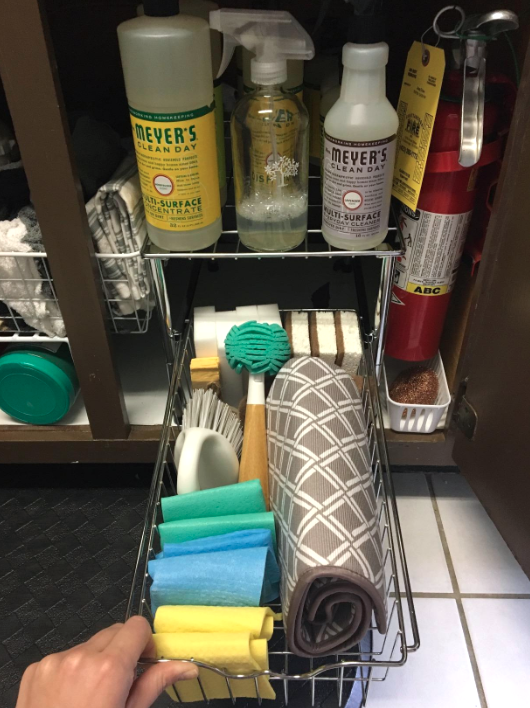 A stackable drawer and shelf that makes even the furthest back corners of your under-sink cabinets completely accessible while maximizing every inch of their vertical space. Get one on Amazon for $24.87 (available in chrome and bronze). 20. Some colorful photo boxes because even if you don't have the time or motivation to put all those developed pre-digital rolls from the into albums, you can at least transfer them to storage that looks nicer than those old shoeboxes. Each of these comes with a stack of 10 index filing cards you can use for a simple labeling system, like year by year. Get a pack of eight of these from Wayfair for $28.24. If you prefer something more neutral, Wayfair also has similar boxes in white or natural for $7.49 each. 21. A comfortable ottoman because it lets you both prop your feet up after a long day and hide throws, games, books, and more in its handy storage compartment. It also works well as a pretty bench at the end of any bed to store things like sheets and blankets. Get it on Amazon for $124.69 (available in beige, navy, light grey, or light blue. If you're on a super tight budget, also check out this well-reviewed dark grey ottoman, $39.73 on Amazon). 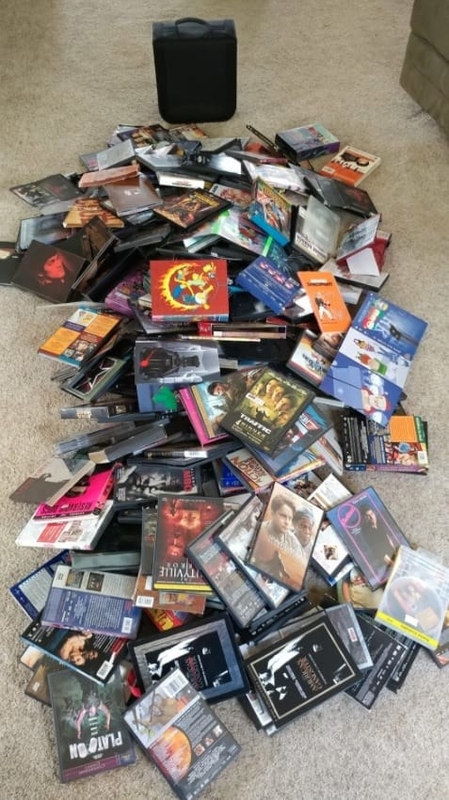 BTW, after you get your cool new decluttering and organizing stuff in the mail, reuse that box to ship gently-used donations for FREE through Give Back Box. That includes Amazon boxes! Just pack your now-empty Amazon box with donations and print your free shipping label. Same goes with many other places you online shop, including Loft, Kenneth Cole, JustFab, REI, and many others. Love improving your home? These posts will keep the ideas and inspiration flowing!